In a rapidly evolving and digitized economy, the adoption of cloud services is accelerating for companies both small and large who want to remain competitive and relevant to their market and clients. Network transformation becomes critical for enterprises to support these cloud initiatives and in this context the emergence of SD-WAN is very timely. 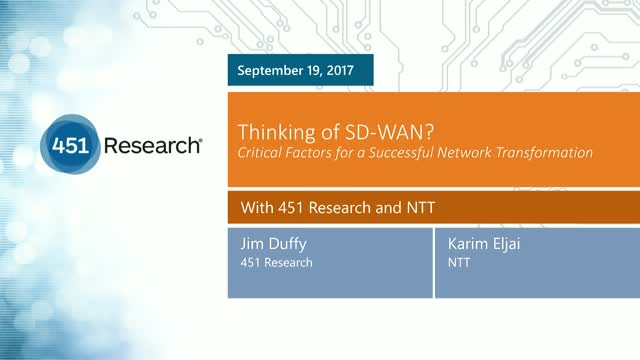 If you are considering SD-WAN to access cloud applications and leverage the Internet for your wide area network, this webinar will provide insight into real life SD-WAN deployment considerations. This knowledge will help you fast track your SD-WAN decision-making process and avoid costly mistakes.